Crafty Happiness: Digital Scrapbooking Tutorial - Love your layout! Want to get started with digital scrapbooking? Studio J makes it SO easy. You upload photos, choose your layout & papers and drop in your photos. There are no "kits" to buy - all digital papers and embellishments are included. You don't pay anything until you are ready to purchases your layouts. 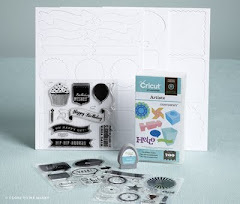 It's a great way to get caught up on your scrapbooking. Check out this great tutorial from Close To My Heart!